Well my friends, currently we have three different types of strollers. Do we need them all right at this very moment…no. But will we soon? Yes, kind of. Do you follow me? Probably not, so I will do my best to explain. Waaaayyy back when (it seems so long ago now), when we were registering for baby gear, Mike and I decided to register for a new car seat and compatible frame stroller. Our friends had generously given us their infant car seat to use, but after checking the model number, it was actually expired. Did you know that car seats can expire? I didn’t either, but apparently they are considered out of date every 6 years (just an FYI if you are thinking of borrowing one). So, with the hopes of having more children we decided to opt for a brand new infant car seat and frame stroller (most commonly thought of as snap-n-go strollers) that would last us the duration of our infant raising stage. We were lucky enough to have received both the car seat and compatible stroller as shower gifts and have used that combination from day 1. 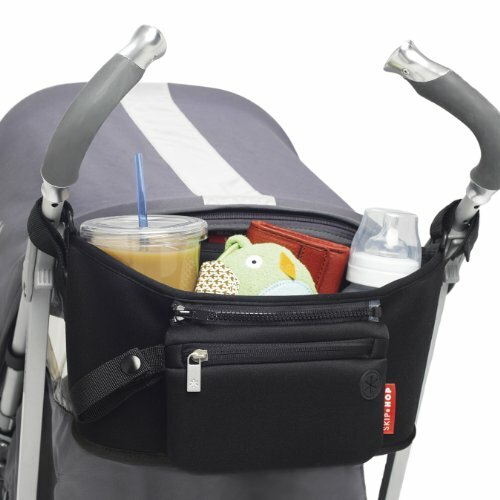 We love the convenience that this duo offers and the ability to take your sleeping baby from your car to the stroller without waking him or her up. Cha-ching. We also purchased a jogging stroller (and car seat adapter)right off the bat for family walks (we took our first one when E was 5 days old) which have now turned into family jogs – and very soon family runs when we start training for our upcoming half marathon – yikes! First stroller ride! He was sooo tiny! Well, since we are quickly approaching 6 months and a bigger baby boy, a couple of weeks ago I started thinking about the next step; like when he’s not in his infant car seat any more, but a big burly convertible car seat that isn’t as go-with-the-flow. I also started thinking about our upcoming trips to Wisconsin and wondered what kind of stroller we would need by then (at 7 1/2 months and 10 1/2 months). We opted for a lightweight/umbrella stroller in hopes that this will do the trick and be our last stroller purchase for a while. I surely didn’t know all of this when we found out we were expecting, so I wanted to write this post to share our experiences with the three different types of strollers that we purchased and hopefully help with the “How many strollers do you need” question. These are my personal opinions and am not being paid monetarily to write these comments, I just want to share what is currently working for us. 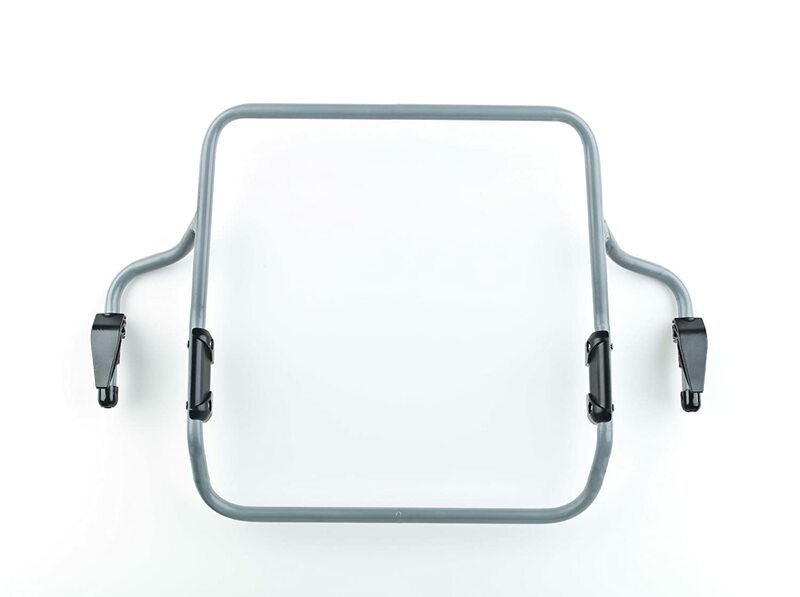 Frame strollers, also known as infant car seat carriers, allow you to easily snap car seats into place to go from vehicle to stroller in no time. Received as a shower gift, along with our Chicco Keyfit30 infant car seat. Premium featuring ultra light anodized aluminum frame with easy one hand fold. -Only lasts for the first few months of infancy (until your baby grows out of their car seat. This are great on our Keyfit Caddy and our Chicco Liteway ! Not only do the hooks hold your diaper bag in place, but your grocery bags as well. Umbrella strollers are lightweight, folding baby strollers that are ideal for parents who travel often. These buggies can be easily stored in a vehicle’s trunk and includes a footrest and canopy for your child’s comfort. Received as a gift from my dad. -Tip: The Liteway Plus version of this stroller is a little bit more expensive, but transforms into a snap and go that is compatible with the Chicco Keyfit30 Carseat. The front wheels swivel or have the capability to lock in place. So far he really digs it! -Single wheels in the front – I think it makes manuvering a little bit easier. 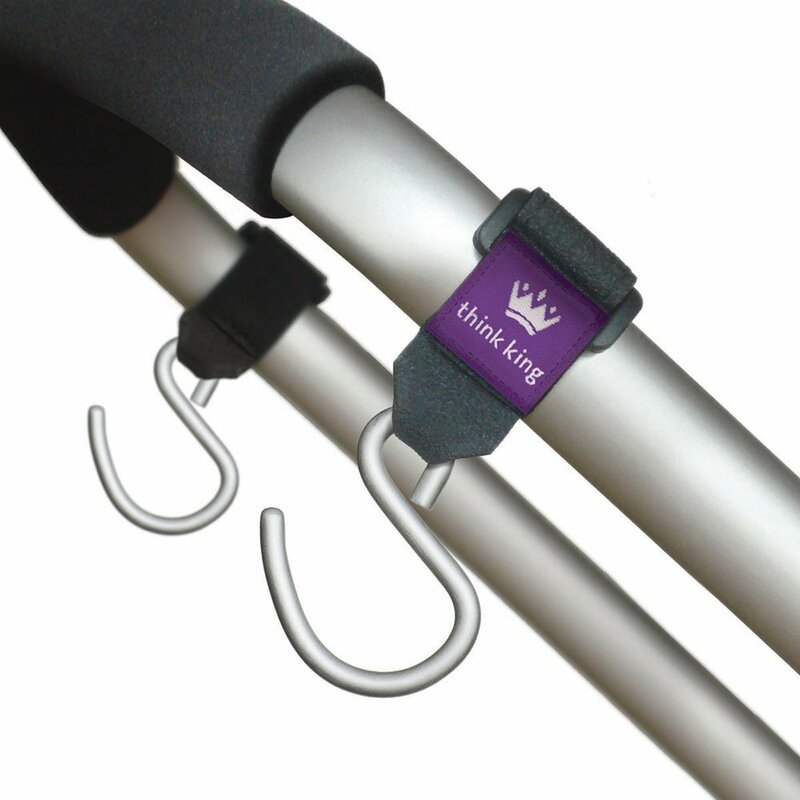 -When attaching my diaper bag to the handles (using the Think King hooks mentioned above), the stroller doesn’t tip over when I take Everett out. It’s very sturdy! -E seems to love it and has fallen asleep quite a few times in it already! -I wish this stroller had a little bit better sun shade that offered a bit more protection. -On our first walk with this stroller I noticed that I kept hitting the wheels with my foot. I don’t know if I have a longer stride because I am taller, but I was kind of worried. Since then, we have been on many walk with this stroller and I haven’t noticed it. I think it just took a little while to get used to, but that is something to look for when you are testing out strollers in the store. Practice walking with them! -The undercarriage storage isn’t great, but not a necessity for us at the moment (since I attach my diaper bag to the handles). It’s good enough. Ours just came in and it fits great! We love it! No need to call for a babysitter while you’re out for a run or a bike ride with these specially designed strollers. 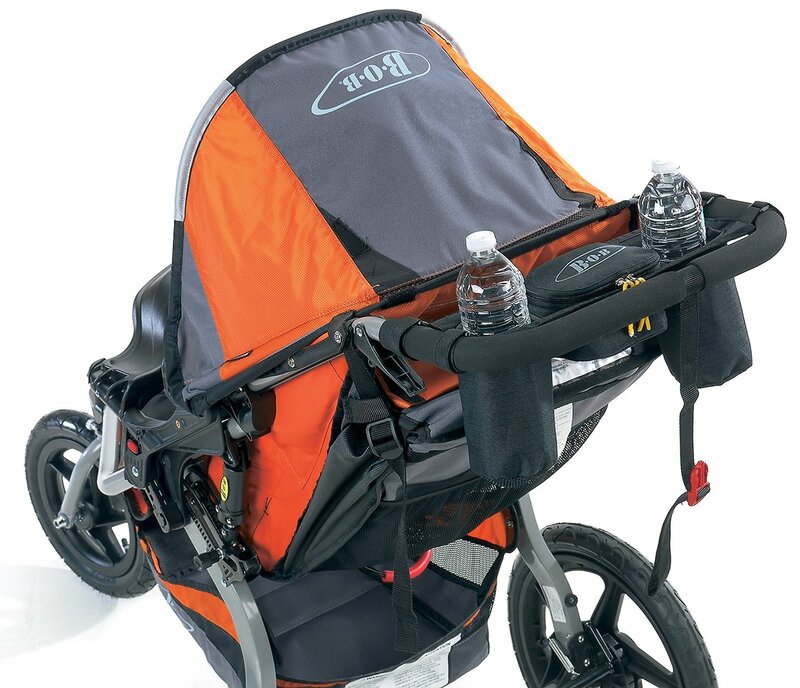 Take your infant along for the ride as you go for a run. The lightweight, easy-to-use design is great for parents looking to take their fitness routine to the next level. They protect your baby and provide a smooth ride-along as you exercise. We paid: $313 via Amazon and received free shipping and used money given to us as a shower present with the intent on it being used for a jogging stroller. Two-step folding, lightweight frame for convenient transport and storage. Cargo Basket provides plenty of undercarriage storage. Additional space in large seatback pocket. 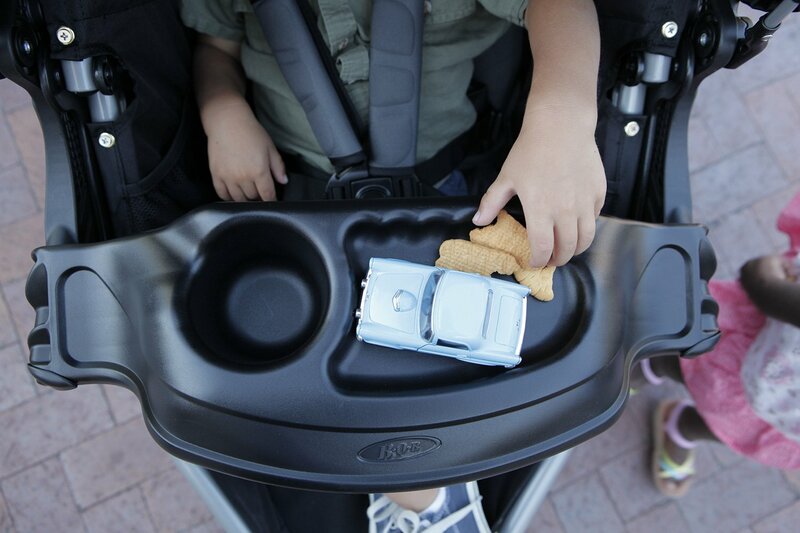 Internal seat pockets provide a great place for snacks and toys. Huge peek-a-boo window! Your little one will be facing you when in a car seat (using the adapter – see below), but facing out when sitting in the actual stroller seat! My view through the peek-a-boo window when using the car seat adapter (E facing me). My view through the peek-a-boo window without the car seat adapter (E facing out). The sun shade also collapses all the when not in use. The Bob also has a red car seat strap that is used to “strap in” the car seat when using with the stroller adapter. We have found that this same strap is great for strapping on toys after the car seat is long gone – you don’t have to worry about toys falling out of the stroller (see above)! -HUGE SUN SHADE and a large peek-a-boo window! -All terrain tires. We have used it on roads, trails and even at the beach. This really is an all terrain stroller. 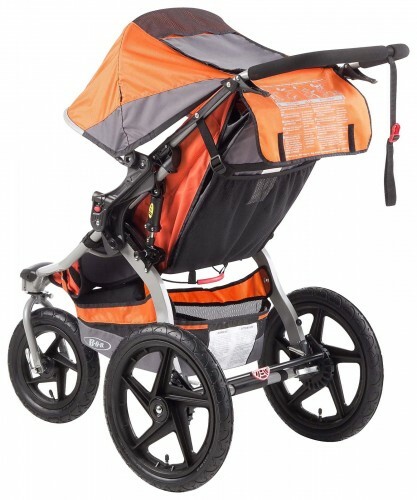 -Swiveling front tire makes this stroller very easy to maneuver (the tire can also be locked in place if desired). -We love running with it! -Mesh pockets on the inside of the seat for sippy cup, snack or toy storage. -It is a bit heavy and harder to collapse when traveling compared to our other strollers, but not hard enough to leave at home during beach trips. I can’t imagine not being able to use this stroller until E could sit up on his own. The carseat adapter was a must for us and we went on our first walk in it when he was 5 days old. I must say, I can’t wait for the day (very soon, he could actually probably start now, but we haven’t tried it yet) when we can go on runs (we go on walks without the car seat now) sans car seat – he gets super hot in it. Needs? Wants? Necessary in the future? New reader here, i actually love your diary and your message! Before I became a mother, I accustomed do identical issue for my baby. It's even as rattling as you imagine it being an excellent innovation. Excellent post. there is a ton of nice things on here for baby. Thank's for sharing. It’s true that stroller is one of the most important purchases a parent can make. Parent should more alert while buying a stroller. We were lucky enough to have received both the car seat and compatible stroller as shower gifts and have used that combination from the beginning. Excellent article having a lot of useful information. It's very difficult to select the best convertible car seat. We have selected some of the best convertible car seats out of hundreds of models. Don't buy a baby car seat before reading these reviews. Thanks!